Squashed in with 12 other passengers, with one whole seat dedicated to my pile of luggage, I am travelling by mini-van from Nairobi on a four hour drive upcountry through lush green tropical vegetation and rusty-red soil fields, gazing out the window at bustling roadside stalls, soaking up the sun and breeze, munching fistfuls of potato crisps and crunchy peanuts, next to pretty Evelyn, a teenager clutching her backpack. Then after two hours of companionable silence, she whispers: “I have only one parent now”. She is returning to her village for her father’s funeral. A knot of sorrow tightens in my chest: “I am sorry,” I say softly with total inadequacy. Millicent, beaming and beautiful, and her strong and kind husband, Pastor Garama welcome me with an afternoon meal in the Faraja community centre, a sturdy building of painted brickwork that Millicent funded herself in 2003. In these past 14 years she has been feeding and caring for orphans and vulnerable children and supporting girls and women with vital health education. 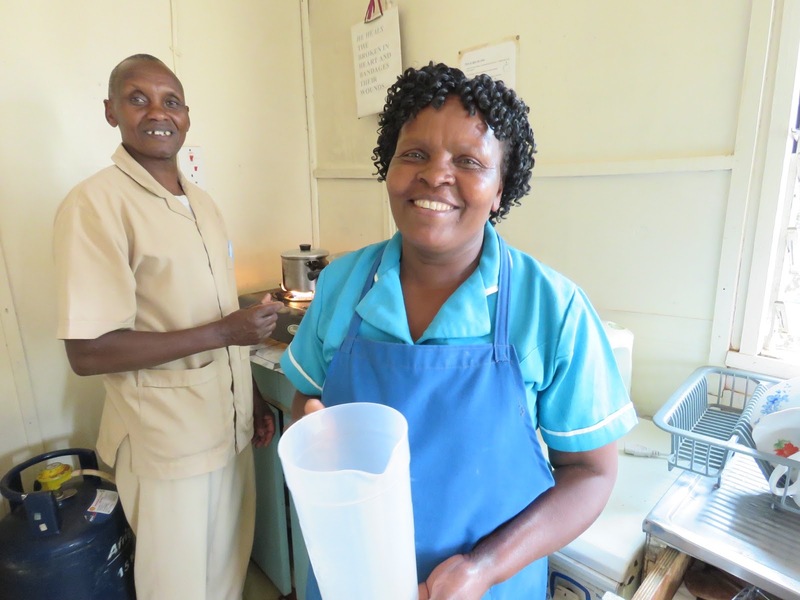 After Millicent, a dedicated nurse and midwife and later hospital administrator, was sponsored to study and work in Scotland she felt so blessed she wanted to give back to her community. 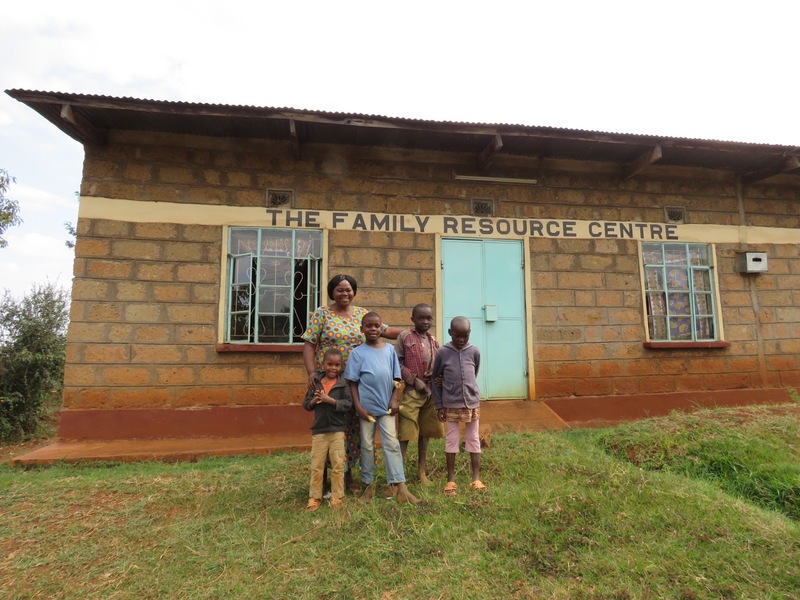 So she poured all her savings into the building and called the centre ‘Faraja', which means ‘comfort’ in Swahili, an apt name for this soothing refuge that gives comfort and hope, joy and love to so many. 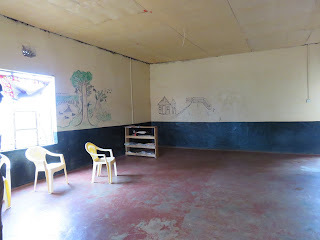 The colourful room with animal murals where the boisterous children play and laugh and dance and sing is a vast uncluttered space. However the empty room has no basic amenities - no plumbing, no electricity, no kitchen to cook the children food! The ladies make dishes of rice and beans at home and transport the food to the centre. 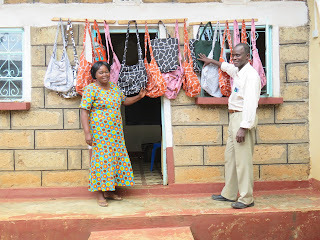 I meet Fridah, who is employed in the sewing room making impressive African fabric bags, and Faith and Robert, who Millicent is mentoring and training as facilitators to take health and human rights education into the remote villages. 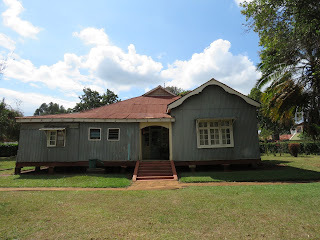 I am happy to be here in this blessed place that I’ve been visualising day and night – while drifting off to sleep, waking up, under the shower, driving along country lanes and on the slow train to London - since my last visit to Meru exactly one year ago. I’m staying in a ramshackle guesthouse built of faded grey tin sheets and timber by a British doctor in the 1920s in the tranquil compound attached to the busy hospital. 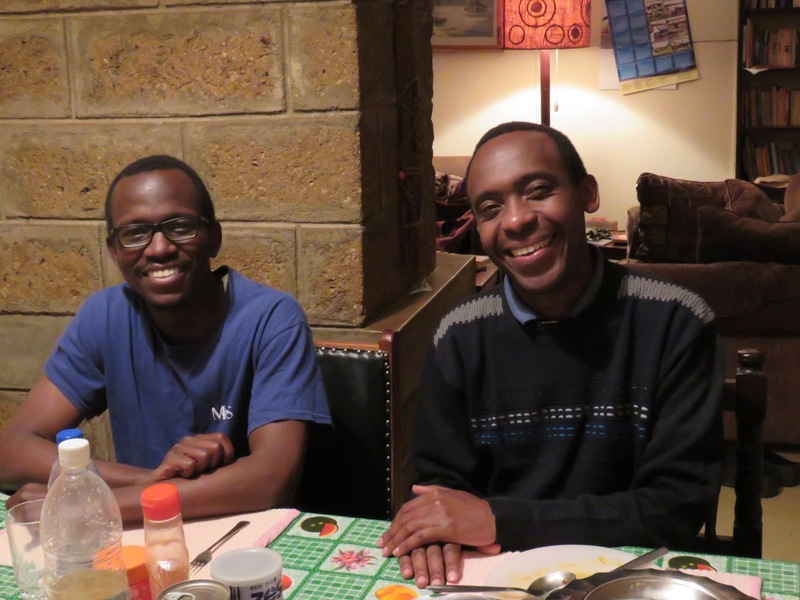 The house has dormitory-style bedrooms and three other guests have left to hike Mount Kenya. I have the spacious house all to myself. 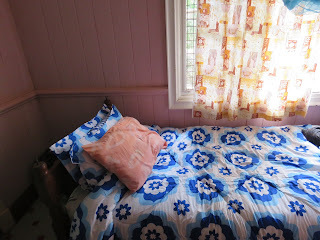 My small room has a single bed, cheerful blue floral duvet and rock hard pillow. I find an old soft pillow stashed in a cupboard and save my neck from cramps! Mastering the squat toilet is an interesting exercise so I opt for the flushing toilet. My shower is scorching hot. The other shower is freezing cold…nothing in between! I discover how to adjust the temperature after a few days, just in time to wash my hair! Millicent introduces me to her American friends, Beth and Larry and Martha and Jim, doctors and community workers who live in the hospital houses nearby. They are sharing their expertise with the medical staff, supporting local projects and soaking up the fascinating culture. I take my breakfast and dinner, lovingly prepared by smiling Douglas and Anne, in the comfortable guesthouse where I stayed last visit, just a short walk across the garden. Jane, the gardener, has the entrepreneurial finesse to multi-skill and put down her rake and sell me a bag of scones! I dine with Josh, an enthusiastic young American doctor volunteering at the hospital, Mark, a Kenyan surgeon who can work up to 16 hours straight to finish a complicated operation, and Kerre, a visiting dentist, doing his monthly clinic at the hospital, when patients from all over the district come for urgent dental treatment. 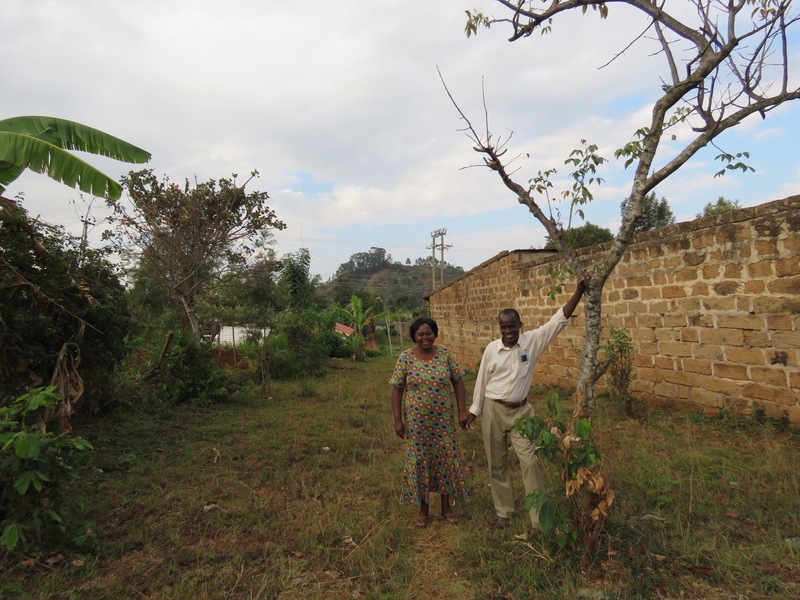 Millicent and I sit together and share our vision for the Faraja community centre. Mystically, I have been dreaming of installing a much-needed kitchen and so has she! 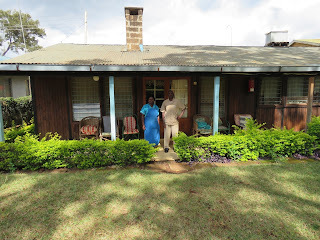 In some inexplicable cosmic intersection of dreams, we have been dreaming the same dream - me in secret journals in my secluded home in rural England, and Millicent in prayers in her church in rural Kenya! As we sip coffee, we dream together of cooking classes for young and old, making nutritious food for all, planting a community vegetable garden and keeping hens to provide fresh eggs. 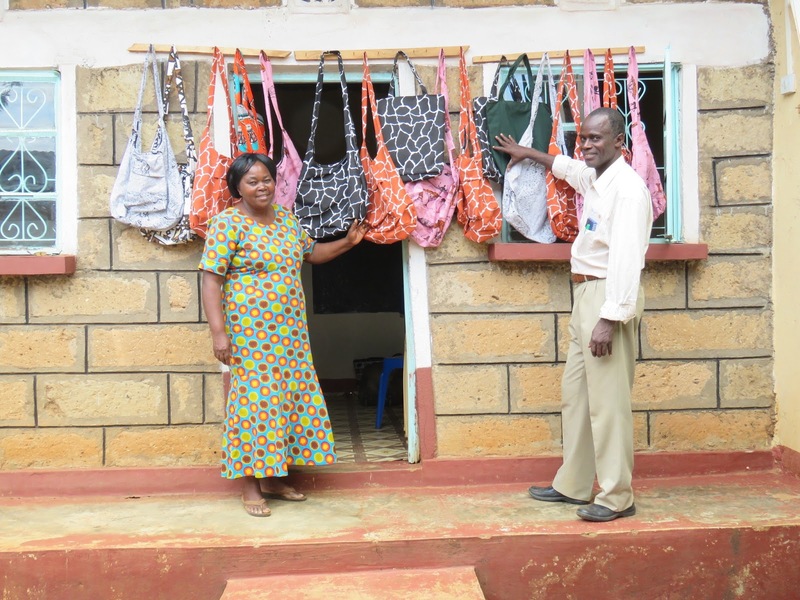 We imagine expanding the sewing project into making reusable shopping bags and mending donated clothes for ladies to sell in the markets. We dream up the possibility of bringing volunteers to the centre from the UK, Europe, US, Australia and other countries to share our cultures in a multitude of enriching ways in a grand ‘voluntourism’ venture, combining community work with exhilarating safaris! We laugh and cry and smile until our cheeks ache! Now the dream is spoken out loud we both know we have made a commitment and a promise to the children, the community, in fact, the whole of Kenya and those people who want an exciting opportunity to Make A Difference. Later in the afternoon I am alone and overwhelmed with anxiety. Suddenly imaginary cynical voices are taunting me: ‘Just how are you going to make it all happen?’ I’m tormented by details, doubts and questions and oppressed by grey clouds of pessimism. My mind is spinning when I join Mark and Kerre for dinner. We share our philosophies about the crushing unfairness of poverty. We lighten the mood with entertaining stories, laugh and joke and connect across cultures through our shared concern for suffering humanity. When I return to my little room, my confidence has returned because our warm conversation has reminded me why I am here and why I am doing this: for the love of these people. The heavy rain pounds the tin roof all night but I feel safe and snug and wake up with the realisation that this ambitious project is like having a baby. After gestation, a mother gives birth and the overwhelmed new parents do not have a clue how they are going to raise this baby over the coming years. They don’t know exactly how they will solve the countless problems and challenges ahead. The nervous yet determined parents only know they must take care of their precious child day by day. And so they step bravely into the unknown journey! Years ago, when I gave birth to my beautiful daughter, I also launched my newspaper column, Family Matters, writing that ‘giving birth is the ultimate act of faith’. The time to ‘give birth’ has come again at a more mature stage of life. My Kenyan soul sister, Millicent and I are committed to raising Baby Faraja into an inspirational, dynamic force for good. And together, without knowing exactly how, we are embracing an ultimate act of faith. Hello Friends, Rather than focusing on what the world can do for you, consider what you can do for the world! Our planet is in crisis and needs us all to solve problems and improve the quality of life. Everyone, whatever age, can use their wisdom, compassion and skills to improve life for humans, animals and the planet. I challenge you to embrace a life of love and purpose. I am an experienced journalist with a long career writing for newspapers, magazines and online publications in Australia and the UK. I'm also a qualified counsellor and workshop facilitator. These days, I'm passionate about empowering communities with knowledge about health, human rights and ending harmful practices across Africa. Share my journey and be inspired to Make A Difference!